A 4 star gem, Hotel Royal Al Andalus is truly a property of distinction providing an excellent standard of accommodation and high quality amenities throughout. The location of Royal Al Andalus could hardly be better with the superb sandy beach only 300m from the hotel and the centre of Torremolinos 750m away. However, the little local area of Carihuela is only 300m away (on a steep incline). Comprising 2 separate blocks and set in delightful sub-tropical gardens, the property has an inviting and welcoming ambience and is perfectly landscaped for relaxing and laid back holidays. Spacious and well designed public rooms add to the overall comfort factor in the property. On-site facilities include an adult swimming pool (accessed by some steps and 2 ramps), sun terraces, poolside bar / snack bar, TV room, convention centre, table tennis, billiards and 24 hour reception. The hotel also offers free WiFi and occasional evening entertainment. 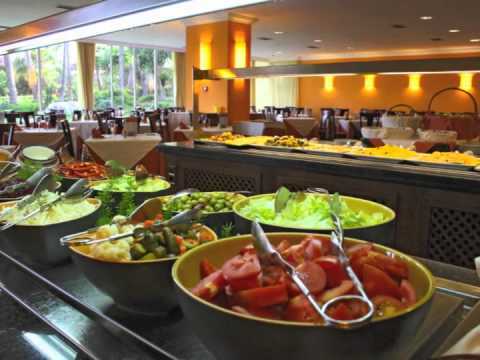 Hotel Royal Al Andalus has a lounge bar and buffet restaurant. Guest rooms are very elegant and stylish. Each is twin bedded and has air conditioning, phone, LCD satellite TV, safe, hairdryer, full bathroom and balcony or terrace. Bettina says: "A good quality 4 star hotel in a super location in Torremolinos is a real find and Hotel Royal Al Andalus ticks all the boxes for a relaxing holiday venue. Situated in the popular Carihuela area of the resort, the beach is only steps away (down the hill) and all the resort amenities are within easy walking distance." Torremolinos was the first of the Costa del Sol resorts to be developed and its popularity has stood the test of time. One of Europe's most famous destinations in Costa del Sol, Torremolinos has everything you need for a memorable sun holiday with quality entertainment, great accommodation, activities, scenery and an abundance of sunshine. The 8km stretch of beach has dedicated cycling and skating lanes on its promenade for a leisurely stroll or cycle to La Carihuela, the traditional fishing district of Torremolinos, or even to Benalmadena's marina. You can relax on the beach all day, windsurf to your heart's desire or sample one of the local "chiringuitos" beach bars for a refreshing San Miguel or try some local dishes like gazpacho, fried fish or gambas pil-pil. Torremolinos is only a short transfer from Malaga airport and with a wide range of accommodation in Torremolinos, we have your holiday covered. Booking 10 weeks in advance? Secure your holiday with just €1 deposit per person.